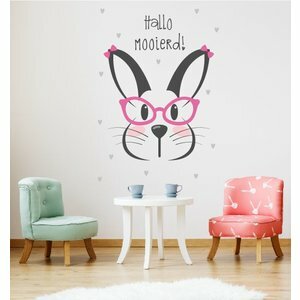 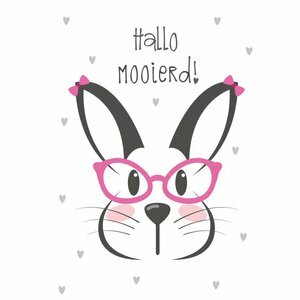 Wall sticker Rabbit - Hello Beautiful is a beautiful Full Color sticker with a hip rabbit and a nice text for the kids. 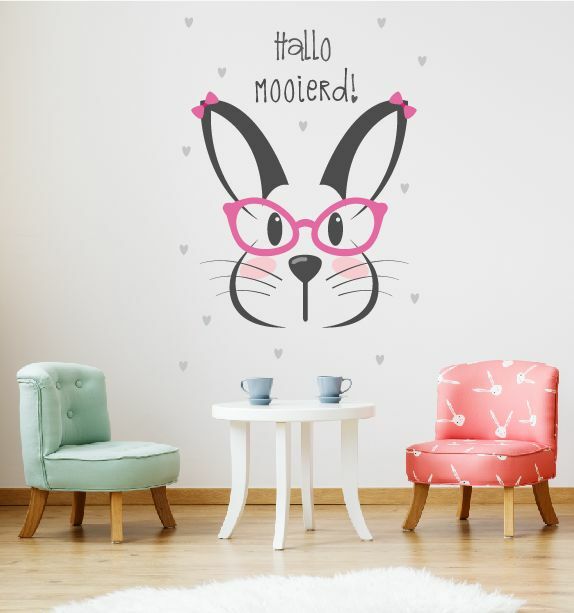 a fantastic way to brighten up a children's room. 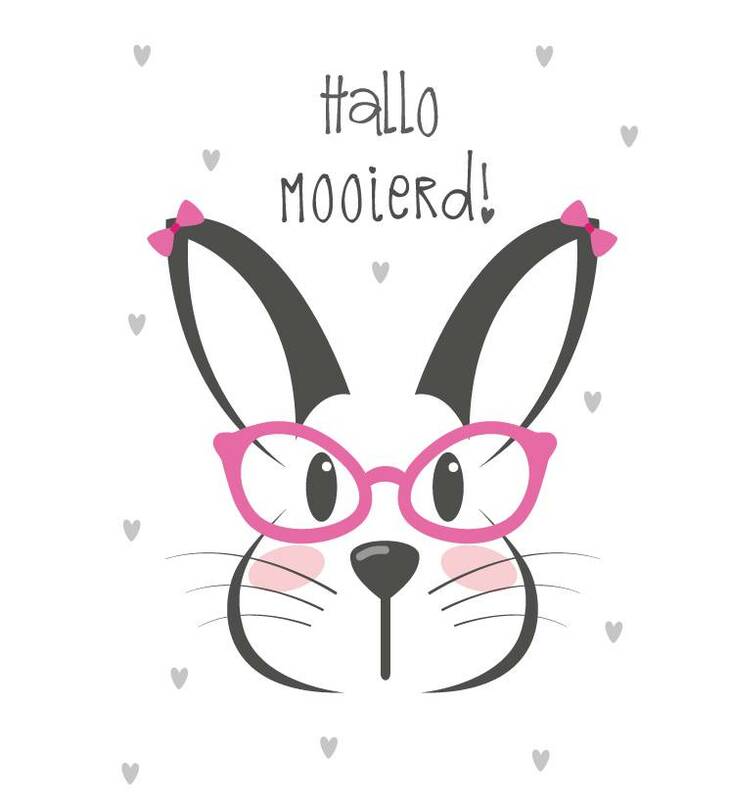 This Rabbit is no less than 60 cm wide and 85 cm high completes the girls room.